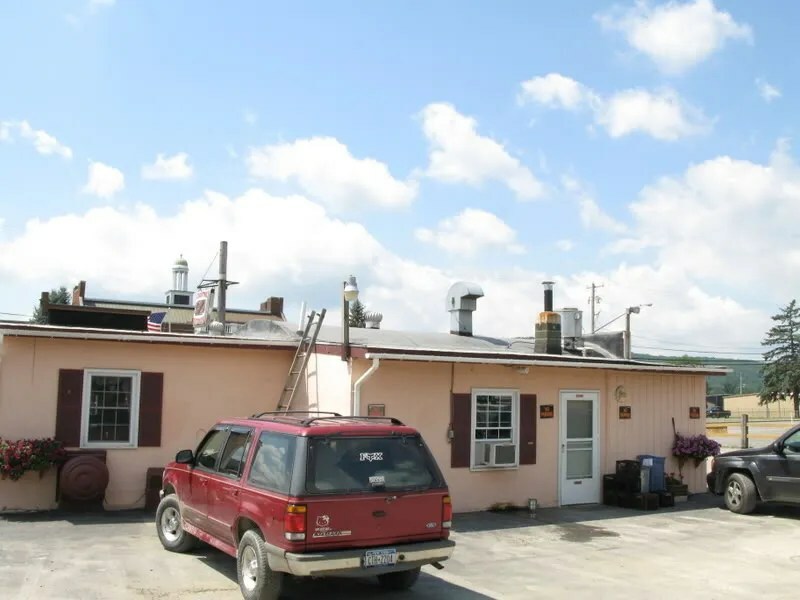 I can’t find my picture of the front side of this diner. It’s a ’50s stainless home-built. Not much to look at inside. Pic. I think the back side is more interesting- there’s an old barrel roof hiding behind, acting as the kitchen. This entry was posted in Diners / roadside related, Diners/ restaurants and tagged 1920s, 1950s, Barrel Roof, diner, New York, Rt. 11, State, Vintage, whitneys point by Spencer Stewart. Bookmark the permalink.